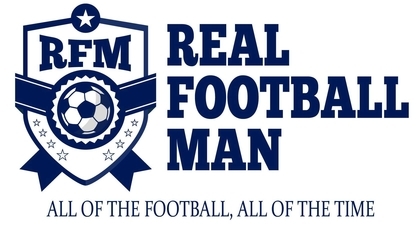 There’s just 8 gameweeks to go now in the race for the second running of the Real Football Men FPL competition and there is not a lot of time left for the chasing pack to try and knock last years winner David McDonagh off his perch. Once again David sits top of the tree and to be honest there was not a lot of activity this gameweek as the top three are unchanged from last weekend. With David now seeing his lead at the top extend to 20 points over Kwame Twumasi, it’s a bit more of a buffer but certainly not enough to be declared champion just yet. My good friend Andy Miller is again in third another 5 points behind Kwame and 25 points off of top spot. The only changes in the top 10 saw Fifii McDowell leapfrog up to 4th and enter the Champions League places at the expense of David McDermott who has slipped not one but two places to sixth, Ologo Popo also has a good work as he sits in 5th. The rest of the top 10 was unchanged as Dennis Kioko, myself, Harrison Narh and Addicted Azhar rounded out the places. 57 was the magic number as four people tied for the top score this week. League leader David McDonagh, Salomon Murray Jnr, Michael Adjetey and Andy Harrison all share the accolade for this week. @THEWWFPL is fresh after watching Wrestlemania as he moves up to 22nd while Will Harwood has a week to forget as he turns in the weeks lowest score and slumps to 27th as a result. There is no change at the bottom as Bruno B finds himself still clutching the wooden spoon and he is 49 points behind Matt Dickinson in 33rd, it looks like Bruno is going to be this season’s Sunderland if he is not careful. With midweek action coming around the corner expect the round up to follow on Thursday/Friday until then.